Starting from this version, Memory Watcher will not be included in GriP. Instead, it will be moved to a new package, "GriP Really Impressive Pack" (GriPGRIP). The distinction is that, GriP shall only contains the most needed extensions, i.e. Issue 223. You can configure some GriP messages to wake the device up. Issue 176. An new option so that GriP message can be expanded by default. Issue 209. You've Got Mail will show the user name of the mail owner, instead of the address. Issue 172. Multiple push notifications from the same app will be coalesced. Suspension behavior can be updated properly. If you have GriP 0.1-11p, you don't need GriPGRIP 0.1-11q, because there's nothing new. The -N flag, which allows you to disable struct name prettifying (__CFArray* → CFArrayRef). Optional properties. Such a thing does not exist directly, but can be inferred when its getter and setter are optional. (See the UITextTraits protocol for example). The -h proto flag, which will hide all methods that's just adopting a protocol. The -h super flag, which will hide all inherited methods. When I was preparing this whole stuff many wrong directions were taken and generates quite a number of utilities that could be useful later. Who knows? Head to http://code.google.com/p/networkpx/source/browse/etc if you are interested. You will need UIKB*.h to compile my examples. The headers can be found in my other project page at github. However, besides ActorKit no header there is actually complete (yet). Hopefully it's the last of the series. I'm now making a convert from layout.plist to .keyboard files. This is a major foundation for backward-compatibility with previous keyboards, and also allows you to use custom keyboards on 3.0 without iKeyEx (but, without all the benefits like unlimited numbers of keyboards). The basic idea is described in Part 1. But even the layout has the potential to be scalable, all keyboards I've created before (using Star) is not, because I haven't told it what to scale. It's like an iPhone app, most of them can be easily presented in landscape mode, but if the programmer doesn't implement the -shouldAutorotateToInterfaceOrientation: method the app will always stuck in portrait mode. As I've repeated many times, keyboard construction occupies 70% mass of UIKit, and that's roughly 8 MiB of code. There are 148 keyboards defined in UIKit so far, so each keyboard will be defined by 55 KiB of code and data. And unfortunately, most of these are code. Now, ARM's register-relative addressing mode allows a maximum span of 11 bits, i.e. 8 KiB, but there's 55 KiB of code! That means each single function must be chopped into chunks by the compiler. To the analyzing decompiler (ravel-arm), it is a difficult situation, because an unconditional branch at the end may mean a tail-function-call. The data after may be interpreted as code, and ruins all stored computation in between. This is happening in the keyboard-defining functions, so by static analyzing the code I can only get to how Apple defines keys up to the Capital Letter U (that's Q, W, E, R, T, Y, U), and then a branch across some mis-codified data, and all selector and class info are lost. So? Initially I dumped all 148 keyboards and analyzed the resulting archive, but this doesn't tell us the implementation detail. Eventually I hooked objc_msgSend to give what's being called (since I knew only Obj-C functions are called and no structs are returned, I've ignored all other messaging variants). The result is over 9000 bytes and I can't pastie it. But I can pastie part of the decompiled result. The UIKBKeylistReference part is what I was missing. Now let's plug in the keyboard, and we get... a dangling Q as we've expected. And removing the references even make the dimensions wrong, so the scaling is really the reference in effect. (When the reference is defined, the original geometry of the keys will be overridden). Apparently it refers to while the name elements interpreted. Why we care about scaling? One, it allows us to define landscape and portrait keyboards with the same content (the keys), and to switch between the two we just need to change the outermost dimension, and the rest will be seamlessly changed. And two, who said the keyboard size must be fixed at 320x216 / 480x162? What if there is really an Apple tablet and uses the iPhoneOS? Or there's an iPhone mini? The resolution can't be the same, so the keyboard size must be altered as well. 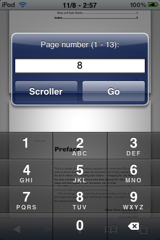 On 2.x we're forced to hard-code these 4 numbers because UIKeyboardLayoutRoman expects us to do so. 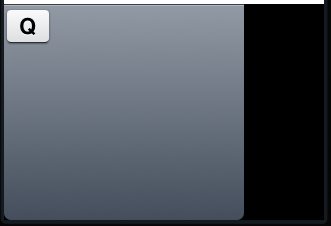 Now having the better solution with UIKeyboardLayoutStar, I'd rather spend more time to take advantage of it and make iKeyEx more robust in the future. Cocoa with Love introduced the hard way to implement multiple row selection for 2.x firmware. On 3.x, there is a much easier way to do the same, if you dare you embrace undocumented methods. To get the selected rows, call the -indexPathsForSelectedRows method on the table view. If you dislike the red check mark, you can use the undocumented multiselectCheckmarkColor property to change it. Unfortunately, it has to be applied on the whole table. Downloads available in http://code.google.com/p/networkpx/downloads/list as usual. What's new in GriP: Again, another attempt to fix issue 129. Doesn't crash with WebKit.framework anymore. The offending struct is XXStruct_GIci6C. Due to some strange thing in the GCC that compiles WebKit, the type of function pointer is encoded into "^" (pointer to !#$^*@#NO_CARRIER) instead of "^?" (pointer to some unknown stuff). The original class-dump won't handle this stuff either, and spit out a huge error string. Doesn't crash with Symbolication.framework anymore. The offending class is VMUCallTreeNode, which contains a union to a pointer to a static-typed objective-C class, which will cause a segfault in 0.1-11o. This was just an error in class-dump-z. Forward declaration of some structs were missing if it is nested. Not anymore. Fixed issue 187. It was because class-dump-z missed the LC_LOAD_WEAK_DYLIB commands. Linux version: PCRE is static-linked. No need to search for the right version of libpcre.so anymore. I think the best solution for now is put a hook at -[UIKeyboardLayoutStar setKeyboardName:appearance:]. If we see a custom name, we could put our own keyboard into the cache dictionary. and UIKeyboardGetKBStarKeyboardName is hard-coded to generate the expected keyboard name. But before we start we must ensure the input mode can be handled by UIKit! 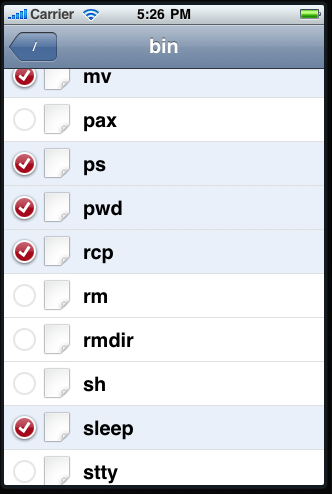 In 3.0 there's a function UIKeyboardGetSupportedInputModes() which returns the 46 hard-coded input mode names. Well, we could of course use MSHookFunction to replace it, but I'd like to see if it's possible to do it with Objective-C only, because MSHookFunction is not available on x86. And actually there is a trick — we see that UIKeyboardGetSupportedInputModes() returns a shared object, which is an NSMutableArray*. What does this mean? Well, we can call this function once on initialization, modify it, and from that point on UIKeyboardGetSupportedInputModes() will record our change. 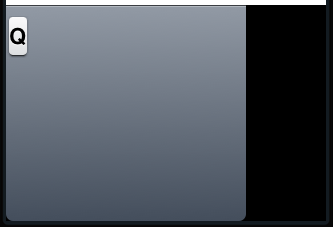 Then we need to trick UIKit into thinking our keyboard uses UIKeyboardLayoutStar. 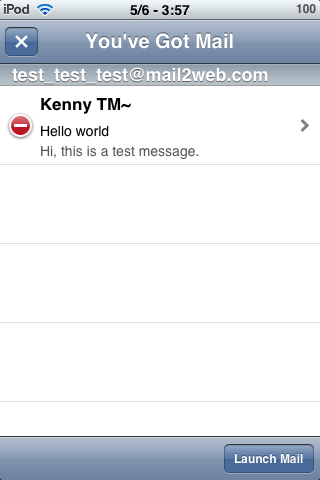 This information is extracted in UIKeyboardInputModeUsesKBStar(), which is again hard-coded. However, this function uses an NSDictionary* which cannot be accessed outside. So we can't test on simulator? Not really, we could actually hook -[NSDictionary initWithObjectsAndKeys:] instead, and swap it back to the original method when done. There are a few other hard-coded dictionary in UIKeyboardInputManagerClassForInputMode(), UIKeyboardLayoutDefaultTypeForInputModeIsASCIICapable(), UIKeyboardGetKBStarKeyboardName(), etc. After all these are replaced we can get a totally empty keyboard without error — a good start. Now we can insert the actual hook to -setKeyboardName:appearance: and set the keyboard. This part is not difficult because there's are reference implementations, like that disassembly of getKeyboardiPhonePortraitQWERTY() and dump of various keyboard files. Text input on 3.0, Part 2. In the last part, we found that we may be able to use the .keyboard format via GetKeyboardDataFromBundle(). This function is only called from -[UIKeyboardLayoutStar setKeyboardName:appearance:], and is not exported, so it seems .keyboard really only contains the keyboard geometry. unfortunately, UIKBGetKeyboardByName is not an exported symbol, so we have to use nlist or lookup_function_pointers. Now, rename this file to e.g. iPhone-Portrait-QWERTY.keyboard (the English keybaord) and place it to UIKit.framework — and, indeed, the English keyboard becomes Arabic! The content is summarized into http://code.google.com/p/networkpx/wiki/keyboard_file_spec. With the format analyzed, we can try to create our own keyboard using this new format. Text input on 3.0, Part 1. GriP 0.1-11o has been released to fix issue 129, and that's the only change. 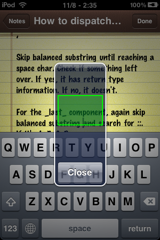 class-dump-z 0.1-11o has been released for Mac, iPhone and Linux. See this page for a comparison of other class-dumps. The rest of this text is written at the same time I'm doing the reverse engineering. You may feel confused, because that's how researching goes. The text input framework is greatly revamped in 3.0. The new UIKit, which is 5 times bigger than 2.0, has 70% of weight taken up by keyboard layouts. 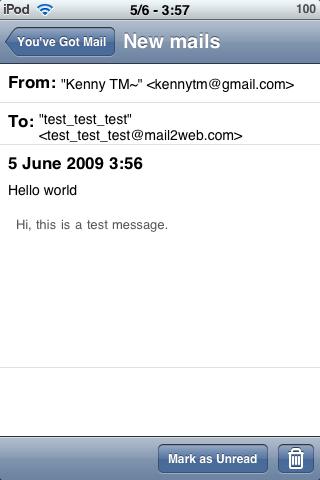 And the nontrivial letter-based input managers, once part of UIKit, is moved into its private framework, TextInput. when the keyboard is present. The class dump of UIKeyboardLayoutStar shows some interesting members, e.g. m_keyboardName, m_keyplaneName, the list of dictionaries, etc. Take the Arabic keyboard as example. m_states is a dictionary of 35 entries, with keys as UIKBKey to values as NSNumber (integers). m_keyboard is the keyboard (UIKBKeyboard), which contains a lot of geometry info. // the rest are not interesting at the moment. So they defined 3 ways to fetch the UIKBKeyboard, (1) GetKeyboardDataFromBundle from the keyboard bundle (/System/Library/TextInput/TextInput_xx.bundle/), (2) GetKeyboardDataFromBundle from the UIKit bundle, and (3) UIKBGetKeyboardByName. Return the content of this file as NSData*. But there isn't a single .keyboard file in the TextInput bundles! How about in UIKit.bundle? No, not even one. So the only path taken would be by UIKBGetKeyboardByName. And what does it do? Search from a function table with that name, and call that function. This probably explain the 70% mass of UIKit — these are functions to define the keyboards. Why they don't use the .keyboard files is a mystery, but from this it seems we can exploit the format to let iKeyEx run on it. GriP 0.1-11n (r344) is released and can be downloaded from http://code.google.com/p/networkpx/downloads/detail?name=hk.kennytm.grip-0.1-11n.deb. This version will be the last revision with Memory Watcher bundled. Starting from next revision, Memory Watcher will be moved to another package. (r327) GriP will use Preference Loader to inject the preferences. You'll have to install PreferenceLoader first. (r327) GriP Modal Tables can now be themed. (r331) All recent GriP messages will be logged. (r332) The detail disclosure thing (▼) is available in You've Got Mail again. 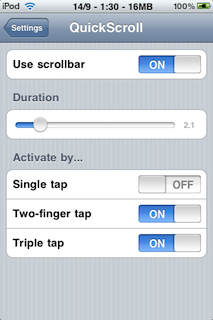 (r334) Dismissing the modal table by home button works correctly in 3.0. (r343) 3.0 Push notification plug-in. (As usual) Other bug fixes. Note that if you've downloaded the r341 version that I've uploaded by mistake this morning, you'll experience a memory leak. Please upgrade immediately. So far I haven't found a reliable push notification app yet to test GriP Push Notification (QuickPigeon is the most reliable one I've ever tried, but it held up 2 trial mails quite a long time). So what about faking push notifications? After a push notification is just a TCP packet. The first thing I do is to set a breakpoint on the most suspicious method -- -[SBRemoteNotificationServer connection:didReceiveMessageForTopic:userInfo:] (0x9ffa5). And indeed, when a push notification comes, the break point is hit (multiple times). The Apple's documentation on this is more in detail. The "topic" parameter is the bundle ID of the app to receive the notification, and connection is an APSConnection object. Given these results, we can craft our notification packet with a Mobile Substrate extension. Put the executable (FakePushNotification) to /usr/bin and chmod a+x it. The "payload" must be in plist format, not JSON format. Note: the program is written to demonstrate how it can be done. It is not bug free. In particular, sending a string that cannot be interpreted as a plist will cause your device crash and go into safe mode. Use with caution. openURL is part of Erica Utilities. 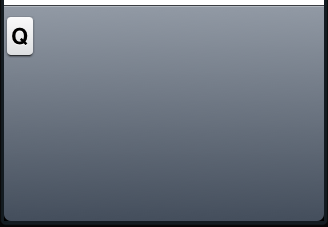 On 3.0, it is not usable anymore because Apple now always throw a "There can only be one UIApplication instance." 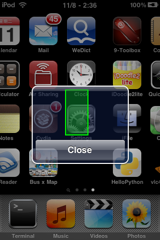 error even if [UIApplication sharedApplication] still returns nil. But openURL doesn't require UIApplication. The core method, -[UIApplication openURL:] is actually a wrapper of the undocumented function, GSEventSendApplicationOpenURL. I've rewritten openURL using GSEventSendApplicationOpenURL, and can be downloaded from http://code.google.com/p/networkpx/downloads/detail?name=openURL.zip. Note that GSEventSendApplicationOpenURL relies on the Graphics Services private framework, and this framework isn't very stable, so there is a chance it won't work on 4.0. You'll notice that there's now a new argument, "port-name". That's actually not quite useful, but I found that it's used in UIKit, so just added it in. (One more reason is that, the function that obtains the default port is renamed in 3.0.) And that piece of UIKit code doesn't work :(. In 3.0 the algorithm -presentModalViewController:animated: is changed. The most prominent change I can see is that the modal view controller will always use the application frame instead of the parent view controller's frame. This breaks modal table theming in GriP. Fortunately, probably Apple also thinks the change to too drastic, they've also provided -_legacyPresentModalViewController:withTransition: that uses the old algorithm, so until iPhoneOS 4.0 comes we can still ignore this problem. The 3.0's -presentModalViewController:animated: calls the undocumented method -presentModalViewController:withTransition: as a backend, where the 2nd parameter "transition" is an integer. For official SDK there're 5 official transitions (present and dismiss count as 2): Slide up/down, Flip to left/right, and cross fade. iKeyEx beta for 3.0 has been out there for weeks. Check the newest posts. 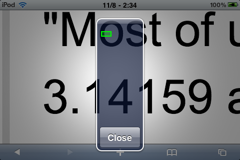 Calculator.searchBundle won't work until someone completely rewrites Spotlight. The guy behind iFile tried to enable custom search bundles before, but the overly-optimized interface made it impossible without rewrites. iPhoneOS 3.0 has been released and jailbroken, and I've also upgraded, so from now on my primary focus of OS will be 3.0, instead of 2.2.1. GriP worked pretty well on 3.0. It is predictable as GriP was designed to be as SDK-compatible as much, and I've tested it on 3.0b1 (simulator) from the start. But iKeyEx is totally different. It cannot work on 3.0 without in-depth investigation on UIKit again. 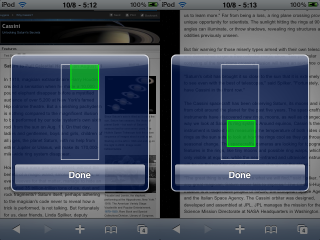 The primary reason is in 3.0 Apple redesigned a lot in language UI. 80% code of UIKit is about the new keyboard UIKeyboardLayoutStar. The input manager is so heavy that split into its own private framework, TextInput.framework. That carries away UIKeyboardInputManagerAlphabet which iKeyEx relies on. iKeyEx will be 3.0-ready, of course, but it will be a long time to wait. 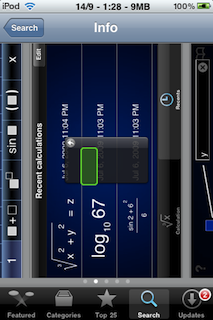 As for the side-projects, Calculator.searchBundle does not work as I expected. 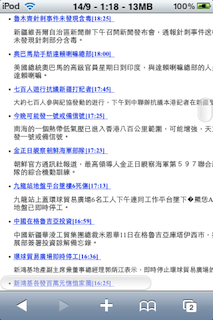 I need to check the source code of Search.framework again. And I haven't checked if AdKiller works or not.
? The only documented entitlement key, means "Can be debugged".
? Everyone uses it has the value (apple). The entitlement of a task can be obtained using the undocumented SecTask*** functions. Because of this, a library can define a set of entitlement keys other applications using it must follow. GriP 0.1-11m (r323) is released, and can be downloaded at http://code.google.com/p/networkpx/downloads/detail?name=hk.kennytm.grip-0.1-11m.deb. Why is this change? My rationale is that, if you want to show the detail, you are focusing on the message, and stuffing that much information in that message is not good. If you're focusing on it, why not maximize the view? 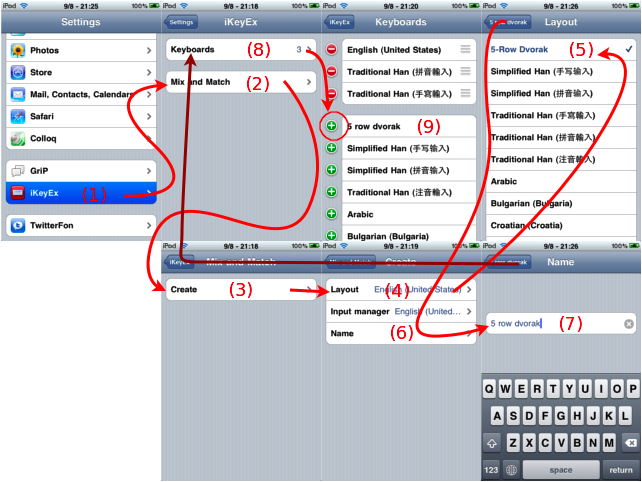 Hence it is shown as a "Modal Table View". Does this contradict with the philosophy behind GriP (unobstructive)? No, because this modal thing already has user confirmation, while for alert boxes they just pop up with no prior consent. Compile UIUtilities.m into a dylib or bundle. You can download it precompiled here. Upload the file to the device, e.g. 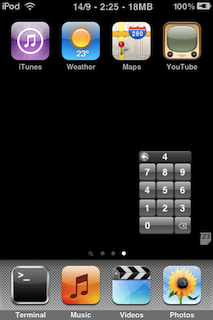 /var/mobile/UIUtilities.bundle. Do not put it in /var/root/. Now attach gdb to the executable you want to investigate. If a nonzero value appears, injection succeeded. 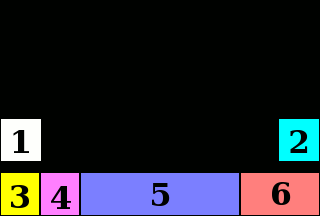 The UIView hierarchy of the key window will be recorded in syslog. Firstly, I have added the 3 options -DNS_BLOCK_ASSERTIONS=1 -DRKL_CACHE_SIZE=307 -DRKL_FAST_MUTABLE_CHECK=1 as instructed and able to reduce the running time from 1.7s to 0.7s, but still quite slow compared with ICU at 0.25s. Then I increased the cache size to 709, and the running time is now 0.4s. Further increasing to 1619 starts make the running time longer probably due to excessive memory use. So while RegexKitLite does become faster, all other methods are dragged down, esp. the POSIX ERE. This confirms johne's statement. There are some other developments: (1) I've found the fnmatch function that does wildcard matching, but the running time is 0.8s, probably due to the use of recursion and implicit calls on locales. (2) Then I've written a specific routine that checks using pure C string, and the result is dramatic -- the function only takes 0.02 seconds! This restored some of my logical beliefs :D.
The new source code can be found in: http://pastie.org/496783.